The first whispers of It: Chapter Two have begun echoing from the gutters, with the sequel due to be released next September. Back in 2017, It shook up the world of horror cinema, launching a golden age for Stephen King fans. Now, fans are all set to get the next chapter of the story, this time following the characters into adulthood. The It official Twitter account tweeted the release date on what is the spookiest day of the year, sparking much excitement. So pumped for this. The cast they put together is pretty legit too. The new, grown-up cast will feature Jessica Chastain as Beverly Marsh, James McAvoy as Bill Denbrough, and Bill Hader as Richie Tozier. 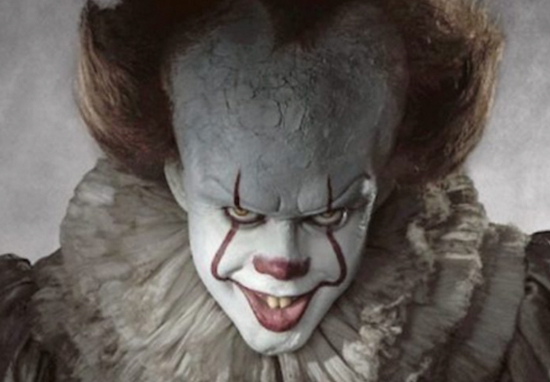 Of course, Bill Skarsgård will also be stepping back into the horrifying clown shoes of the malevolent Pennywise; terrifying the Losers’ Club members nearly three decades after the events of the original film. For me it was just really fun to be able to revisit these characters and see what they’re up to 27 years later. There was a challenge trying to get all those character introductions and ‘here’s where we are so far’ which is fun to tackle. How can we find an elegant solution to introduce this many characters again to the audience? It: Chapter 2 will hit cinemas as of September 6, 2019.